Talented Nelson based interior designer Phill Krammer supplies the X Factor through attention to detail and by simplifying and making sure the focus feels right for every one of his clients. 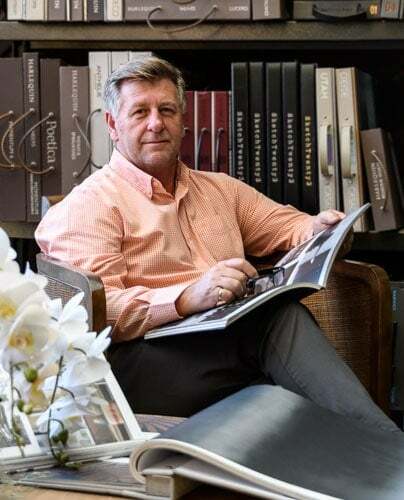 PK Design is Phill’s one-stop interior design shop and it is dedicated to professional, practical & creative solutions at the Top of the South, Nelson and Tasman. Friendly, professional guidance is completed with a team of preferred suppliers to ensure a hassle-free, interior design experience. PK Design was built by word of mouth from satisfied customers who appreciate an individual, reassuring approach to their home’s interior and exterior design. In following PK Design’s expert interior design consultation and advice, you will be given choices to take a step forward from the ‘same old’ to get results that will delight you. “Go on—spoil yourself. You deserve it!” – Phill Krammer, interior designer. The most elegant and sophisticated range of designer furniture on the market is now available to you, right here in Nelson at The Furniture File. Interior designer, Phill Krammer, has worked hard to choose and bring this exclusive range of lounge suites, armchairs, dining sets, beds, rugs, small tables and lamps to the Top of the South. Everything has been selected personally by Phill from a large base of products found in show rooms in Auckland, Wellington & Christchurch. Phill’s considerable interior design experience means you can feel confident when selecting your furniture. "Phil took the stress out of our decisions and made it fun, we are thrilled with the result and really enjoyed the process." "It has been a revelation to find that I can commission furniture to be made in my choice of fabric, at a price which is affordable." "Phil seeks to understand you and what it is you’re trying to achieve. He knows what is going to work and what is not going to work."